With many products and services available, you can count on the expert team at Weston Bros. Inc. to evaluate your needs and recommend the best solution for you and your home or business. Whether its product information, systems design, repairs and maintenance or installation work, our staff is dedicated to provide you with courteous, honest and reliable services. At Weston Bros. the relationship with our customers just begins at the sale. Call now for service that you can trust! GET A SPEEDY FAST QUOTE™! 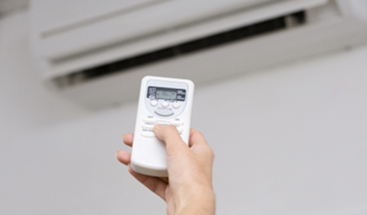 Ductless air conditioning systems offer both heating & cooling solutions in one unit. Advanced technology delivers the ultimate in quiet operation, precise temperature control and energy efficiency. Built with high quality parts, you will enjoy comfort in your home or office for many years. Call now to schedule your appointment for an in home evaluation. 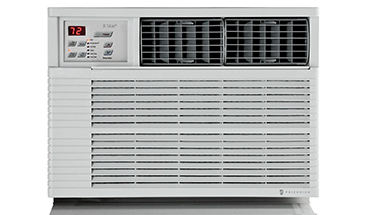 Weston Bros. Inc. sells, services and installs Friedrich Room Air Conditioners. These high quality systems are energy efficient and conveniently designed with a variety of control and operating options. A wide selection of sizes and models to choose from ensures we have the right fit for your home. Come visit our showroom or call today! Use Hyper Heat Ductless Split System Inverter technology to heat your home, even at frigid outside temperatures. The split system heat pumps bring your space to temperature quickly and then provide consistent comfort. This is unlike conventional heat pumps, which are unable to adjust to the indoor temperature. In addition, the systems are efficient, only consuming the energy you need. Contact us today to learn more. Selecting the correct brand and model of air conditioner for your space will ensure your cooling comfort and overall satisfaction. Ask about our split system today! Weston Bros. Inc. maintains a factory-authorized service center for your convenience. We are able to install and maintain the best systems available. Call Now! Weston Bros. Inc. has been serving its customers since 1956. Word of mouth, customer referrals and returning customers did their magic and the Weston Bros. Air Conditioning business grew for the next 30 years. Currently Weston Bros. Inc. has expanded its products and services over the years to include the best heating and air conditioning available. Call now to learn more! Weston Bros., Inc. sells, installs, and services Mitsubishi Ductless Diamond Comfort Systems, and Friedrich Room Air Conditioners to the New York City Area. Mitsubishi’s whole-home system allows for individualized zone control, which makes comfort personal for every member of the household. These systems are extremely quiet and highly efficient. Friedrich window and wall air conditioners offer cooling and cool+heat solutions to meet all your needs.